Are you looking for the reliable and trustworthy skip bin providers in Adelaide Hills? Mega skip is one such provider of skip bin in Adelaide Hills. We have the best and cheap skin bins available in Adelaide Hills. The owners, residents and business owners are familiar with Mega Skip; hence they know that we are the providers of cheap skip bins in Adelaide Hills. Skip bin in Adelaide Hills placed at your home will look after all the different kind of a waste. It can be the green waste, waste accumulated due to shifting or renovating of homes or general rubbish gathered from suburbs. 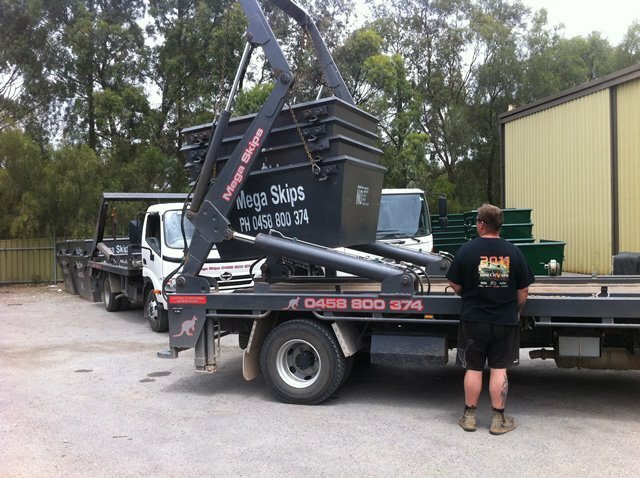 In order to have cheap skip bins in Adelaide Hills, get in touch with Mega Skip. They are the providers of skip bins in Adelaide Hills and they will do the needful for you. You can have skip bins booked online with an appropriate size that will be suitable for you. Mega Skip can assure you that you will get the most economical range of skip bins from them. It is the easiest way to get rid of all the different kind of waste that has gathered. You can reach for either mini skip bins, mega skip bins or roll on roll bins available to remove a large amount of waste. Mega skip offers great competitive price with the best service at your doorstep. When you have booked skip bins in Adelaide Hills online, you will surely get the bins delivered at your door the very next day. The charges depend upon the bin type selected and the number of days you would keep it with you. The hill area is sure to have been gathering a large amount of green waste, hence we make sure that all the greens go into some good use. Our drivers are efficient to drive your skip bins through the narrow lanes of Adelaide Hills. Moreover, Mega Skip is environmental friendly hence we make sure that most of the rubbish is segregated and goes for recycling. We want to keep the surrounding clean and so we make sure that most of the land sites do not turn into dump sites. Mega Skip is one the genuine skip bins provider in Adelaide Hills and we have always been striving to make this place a better living for one and all. Get in touch with us for the cheap skip bin provider in Adelaide Hills.